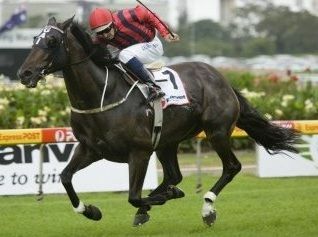 Looks like this guy will be back in action in the autumn as he’s been nommed for the Australian Cup 2000m. It’s then 3 weeks into the Tancred Stks 2400m. They’re the 2 G1 races I’d aim him at anyway. 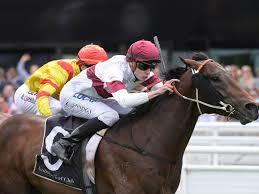 He dodged 2 very winnable G1’s (Metrop Hcp & Caulfield Cup) last spring, hopefully can make amends this autumn. Not a lot between he and Night’ s Watch yesterday for mine. Cut the corner when NW had to come very wide, which just told at the end. Good to see them both back in good nick. Another terrific run by this guy and will have to be a hot fave for the Australian Cup now. Then hopefully onto Sydney for the Tancred Stks & if he’s dominant in that, then why not have a crack at Winx in the QE Stks. with others injured and the 3yo's looking light on, he is the second best horse in the nation, with Happy Clapper. To be honest I would have loved to see him at the mile at Flemington, but they do not need the money and have Alizee in and Hartnell just about to get the call from Carpenter, so they have them covered. Not even close. Our middle distance horses are absolute camels. Our second best horse would be a sprinter...take your pick. Avilius did come 2nd to Cracksman in Europe. He is a genuine top class horse just short of world class. He is a great measuring stick for our horses who are all failing dismally apart from a few exceptions. That's the thing though, right? What's the measuring stick for dismal? Avilius is the measuring stick of abysmal. If Cracksman can beat him by 4 lengths over 2000m then anything he beats is far inferior. Avilius so so consistent in Aus he is a good guide. That's what I'm saying. From a ratings perspective, I'd imagine horses like SAL, Redzel and IHT are superior. Avilius is still a G1 maiden. That may change in two weeks but our sprinters are at least competing against semi decent horses. Was found out at decent weight last year. 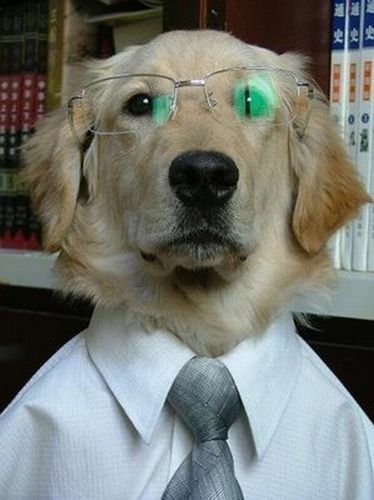 He's a handicapper that might beat some rubbish like today. Will not win another G1. Won twice at Group 3 level in the Spring, once in a Quality, another in a Set-weights with penalties race. Then ran 4th in the Group 1 Cox Plate. This Autumn has won twice at Group level, once at Group 3 WFA/with penalties and the other at Group 2 standard WFA. Can you explain your bizzare comments Chris B? 1) How was he “found out at a decent weight last year”? 2) Why do you think Trap For Fools & Ace High are rubbish? 3) If you think Avilius is not going to win a G1, then what’s your tip for the Aust Cup? LH, you're a smart man but...TFF and AH may not be rubbish, but are the sort of horses that 20 years ago would never have troubled our top WFA horses. Avilius will probably win the Australian Cup, but it's shaping as the worst edition, probably ever. Personally I think even a horse like Gailo Chop would lead him a merry dance. This is how low we've come. Fair enough Judge, I agree TFF & AH are not superstars, but both do have major G1 wins on their CV’s. I do also realise that we’re unlikely to ever see the awesomeness of the WFA battles of yesteryear. Bona fide superstars going into battle against each other is a thing of the past. In my early years it was Vo Rouge & Super & BLU. Then came the Saintly, Filante, Occy era and then onto the Northerly, Lohnro, Sunline period. All these horses would eat the current era of WFA horses for breakfast (except Winx, maybe). What memories. Filante was a huge talent when on song. They were great days. With all the top Euro middle distance sires nowadays maybe the 90s form was weak in comparison. Can we tell on times? Filante's Epsom win from an outside barrier with top weight was breathtaking. Wish I could find a video. I agree. One of the best wins in Aus over the last 30 years. Filante was my favourite horse at the time. He was hugely talented just lacked mental toughness sometimes in tight finishes. Filante - 2nd in both Cox Plate attempts. But how about the 1996 Cox Plate - top 5 placegetters were: Saintly, Filante, All Our Mob, Juggler & Octagonal - they had 24 G1 wins between them ranging from 1200m to 3200m. I started following the caper when Vo Rogue, Super Impose and Better Loosen Up were matching motors. We were running first and second in Japan Cups back then. Now we're importing horses that wouldn't lick their bootstraps. Because our own horses are even worse. Our sprinters are atrocious at the moment. Avilius was on a continual upward spiral in Europe. Will be interesting to see how Finche and Eminent go down here. Do not underate his European form. He was well on his way to the top. We had one today run the fastest Oakleigh Plate EVER ..
Not a good idea to start comparing past Gallopers with present ones as the "clock" will usually prove you wrong . We had one who placed in our last Newmarket , cleaned them up at Ascot. Like the look of this horse and definitely one to follow !! Been a good ride Hybrow ! !